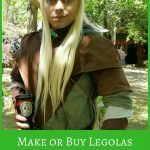 For fans of the Tolkien classics The Lord of the Rings and the Hobbit, collecting memorabilia and items related to the films can be a fun and rewarding hobby. 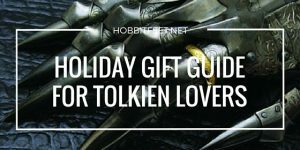 With the upcoming holiday season approaching quickly, you may be wondering what interesting item you can find to add to your collection, or to give to someone who likes to collect Tolkien related things. 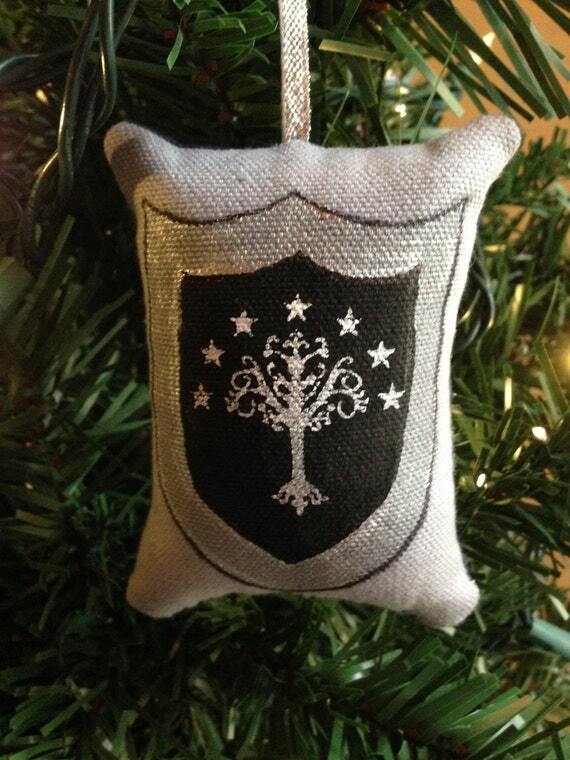 How about adding a Lord of the Rings Christmas ornament or Hobbit Christmas ornament to the holiday tree this year? 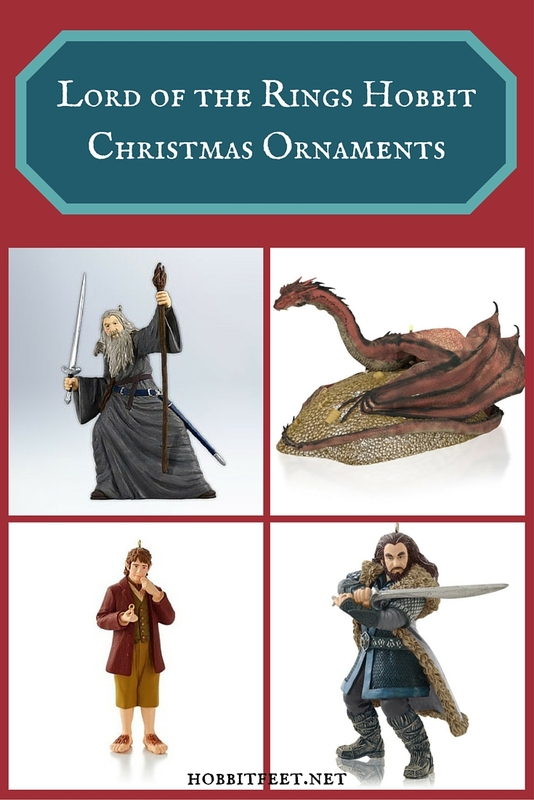 Not only are these ornaments great collectibles, they also make great gift ideas for other fans and collectors. This ornament is one from the 2013 Hallmark Keepsake collection and measures 1.625 inches wide by 4.25 inches high by 1.375 inches in diameter. 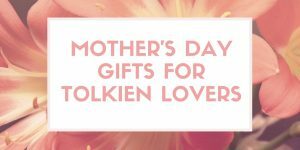 Featuring the Hobbit we all know and love, Bilbo Baggins is dressed in his yellow knickers, olive green vest, and red jacket. 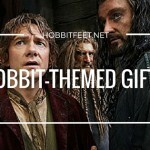 Bilbo stares at the ring in his hand with a thoughtful and curious expression. 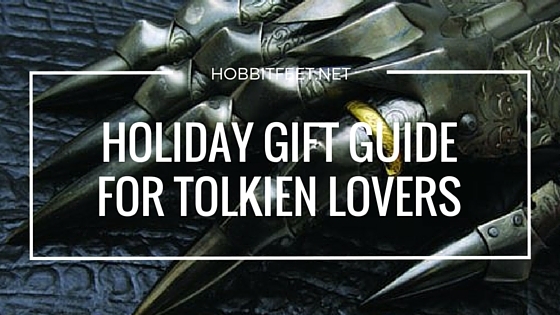 Ornament is highly detailed, from the layers of his hair right down to his hairy Hobbit feet. This ornament measures 3.39 inches wide by 4.27 inches high by 2.64 inches in diameter. 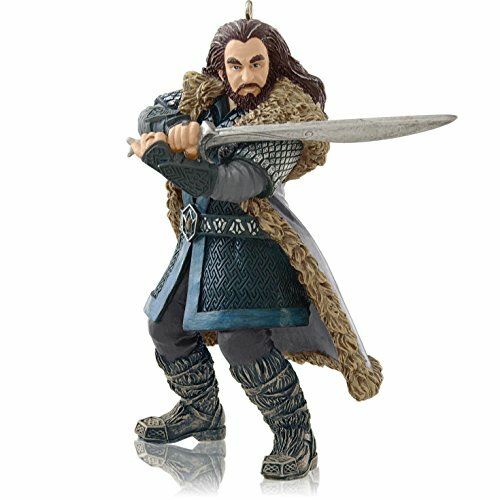 Ornament features Thorin Oakenshield wielding a sword in battle. Highly detailed ornament shows all of the various textures and intricate details of Thorin’s hair, beard, coat, boots, arm guards, and various other garments. 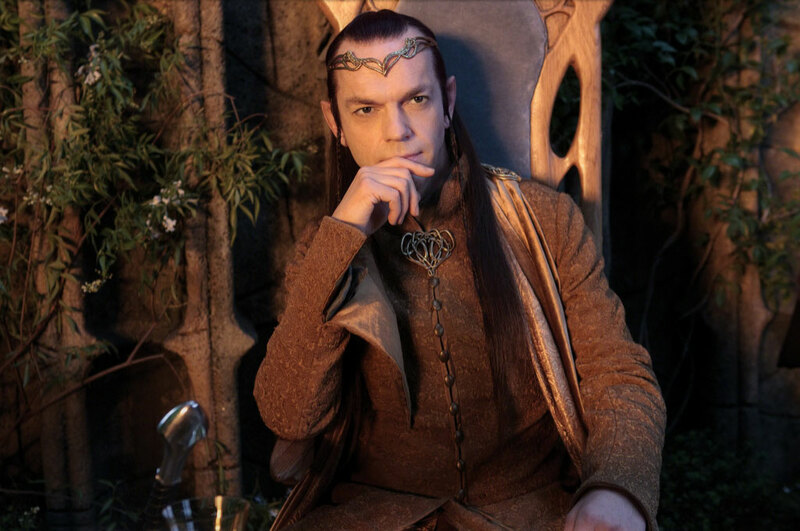 The colors used are very true to those used in the movie and is an accurate likeness of Thorin, a favorite among the Dwarf characters in The Hobbit movies. 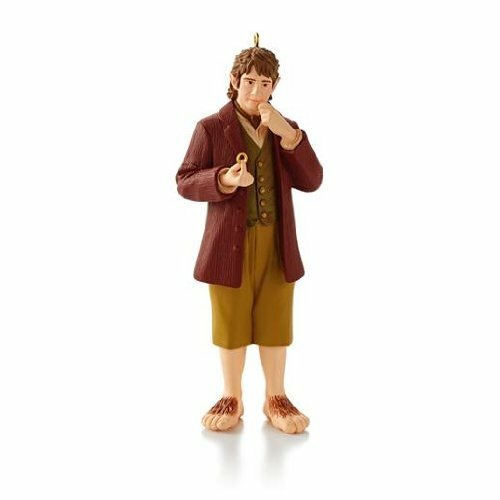 This 2015 Hallmark collectible Hobbit Christmas ornament measures 4.625 inches by 2 inches by 2.5 inches. In the films, no creature was to be more feared than Smaug the evil dragon. 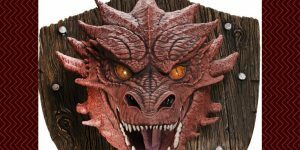 With his fierce expression, yellow eyes, and red, scaled body, Smaug will add some character to your Christmas tree this year. 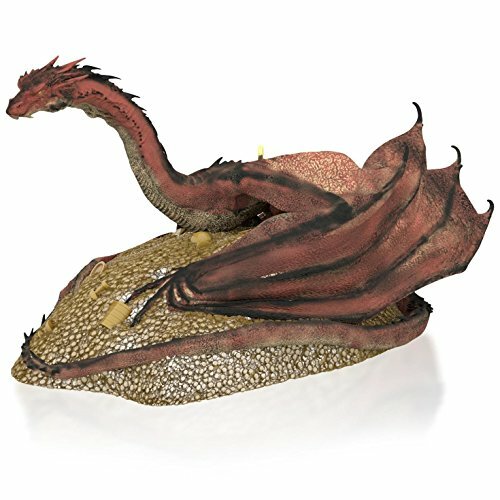 Sculpture is highly detailed and depicts Smaug sitting on his pile of gold. 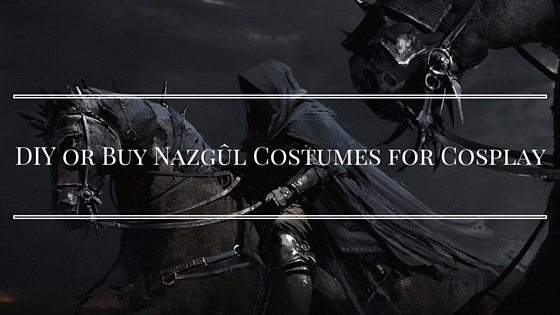 A must have piece for collectors of LOTR and Hobbit memorabilia. 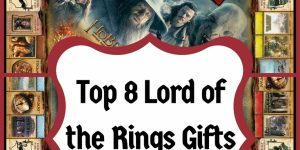 What Lord of the Rings Christmas ornament or Hobbit Christmas ornament collection would be complete without Gollum? Add this scraggly looking little creature with the funny voice to your tree this year. Made from hand crafted plastic composite and measures 1 3/4 inches by 2 1/8 inches by 1 3/4 inches. 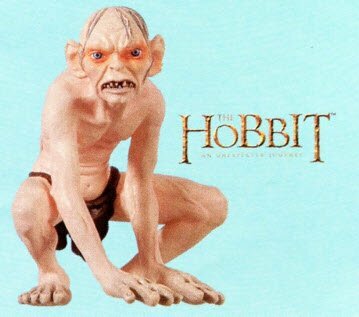 Gollum is depicted kneeing down with his hands touching the ground and is dressed in his usual loin cloth with a scowling expression on his face. Bring Gollum home to add a little Christmas cheer to your tree, just keep him away from your rings. 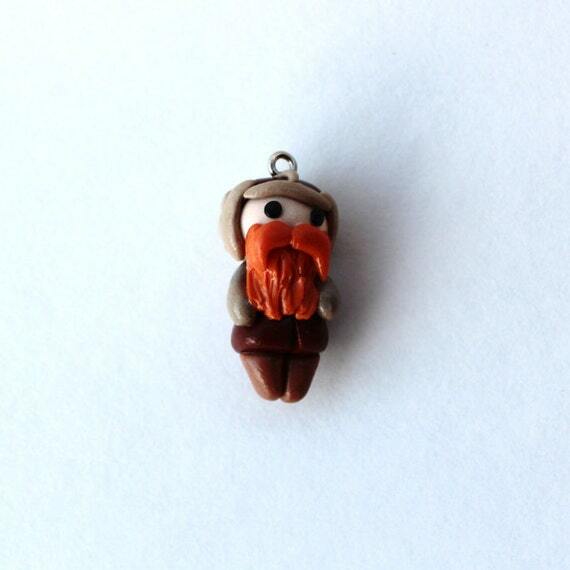 This collectible ornament depicts a good likeness of Gandalf the Grey, as he was called in the Hobbit movies. 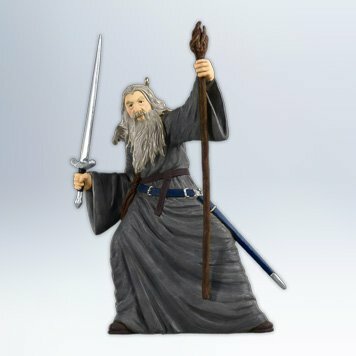 The hand crafted plastic composite is highly detailed, showing Gandalf’s grey long hair and long beard, and showing every fold in his grey robe and sleeves. 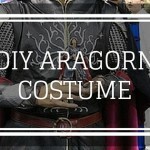 Gandalf is wearing a blue belt that holds the sheath for his sword, and has a bent knee as he leans to the side with his large brown staff in one hand and a long silver sword in the other hand. Figure measures 3 5/8 inches by 5 3/4 inches by 2 inches. 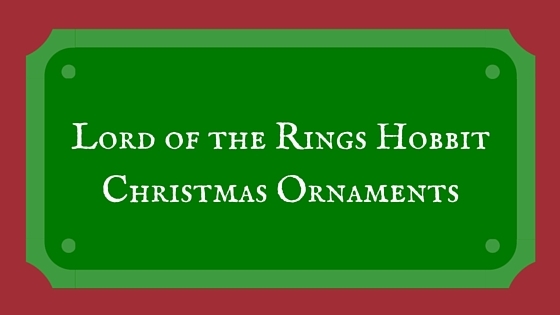 This Lord of the Rings Christmas ornament is part of the Hallmark Keepsake collection for 2004. 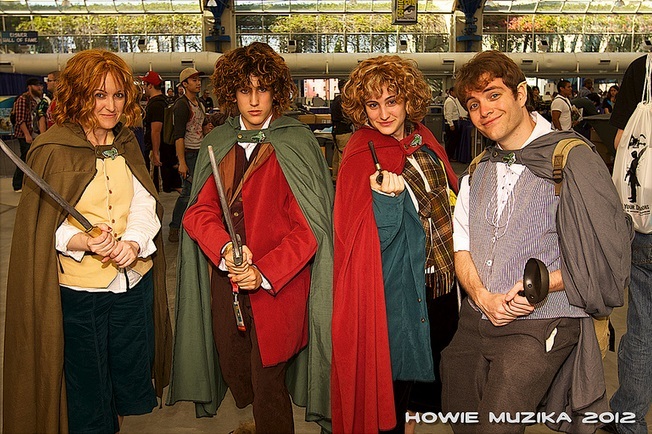 Frodo Baggins is dressed in his red knickers, with a brown shirt and a long green cape. 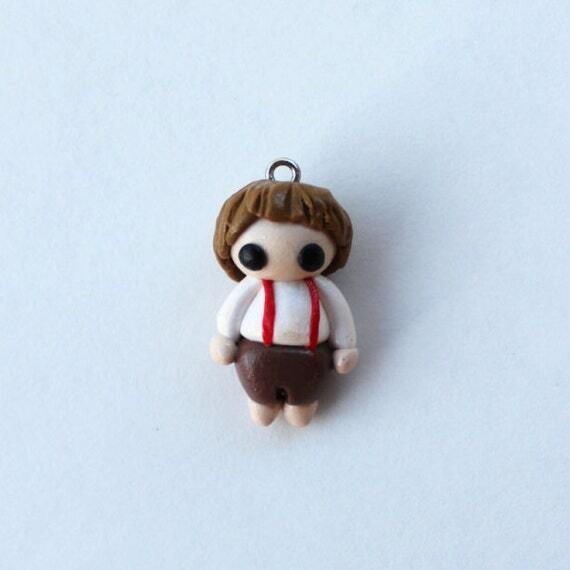 Highly detailed hair and Hobbit feet. 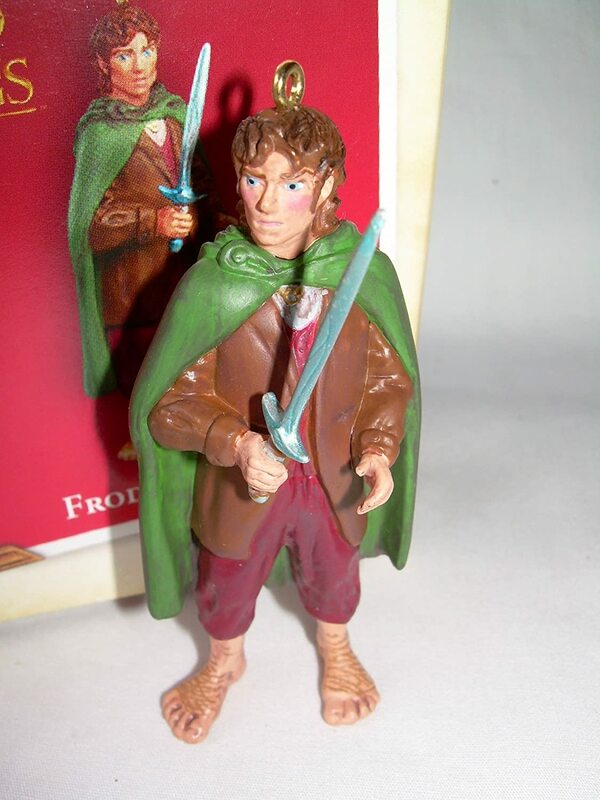 Frodo is shown holding a sword in one hand, ready to take on whatever gets in his way during his quest. 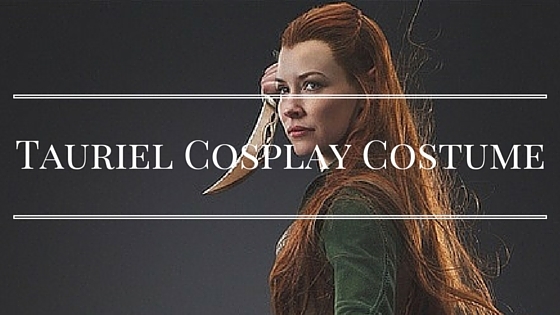 This is a circular piece that measures approximately 3.5 inches by 3.5 inches. It is a stunning StarFire Prints TM glass photo that can be hung in a window or as a lovely ornament for your tree. 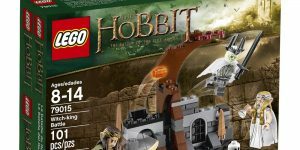 Depicts a scene from the movie and says The Hobbit on the lower right side of circle. 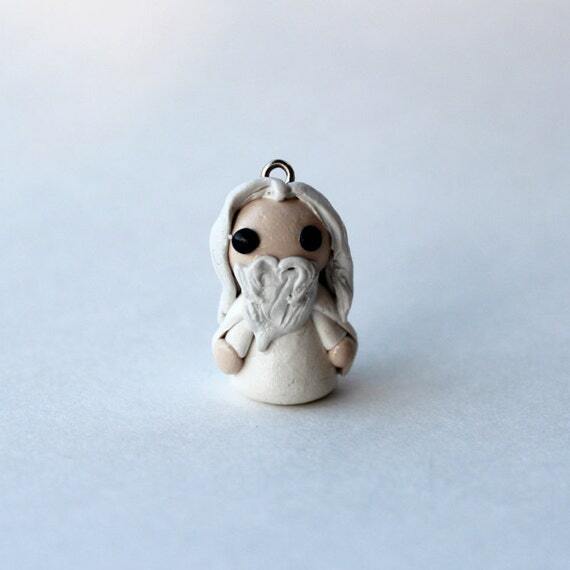 This Lord of the Ring Christmas ornament features Gandalf the Grey and measures 4 and 3/4 inches high. 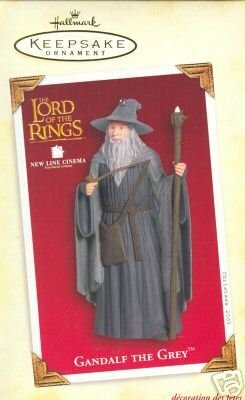 Highly detailed ornament features Gandalf dressed in his long grey robes and grey cloak. 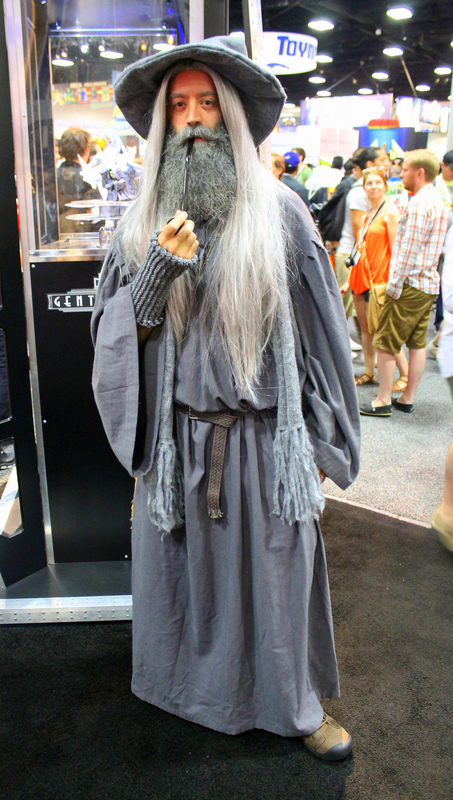 Detailed long gray hair and long beard, with Gandalf holding his staff in one hand, holding his long pipe in the other hand. He is wearing his brown sash and satchel. Ornament comes boxed in the original Hallmark Keepsake Ornament box, ready for gift giving, or perfect for storage after the holidays. 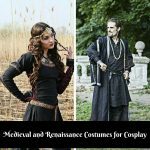 This is something very different than what you could find in a store. 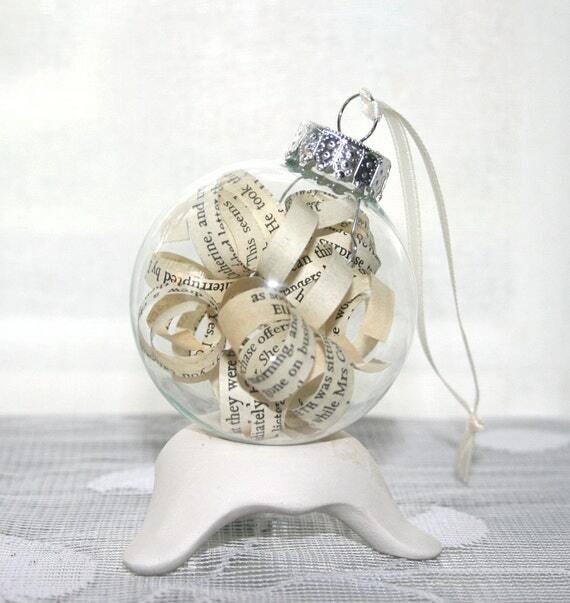 This is a hand crafted kusudama ball ornament that was made from the pages of a vintage Lord of the Rings book. 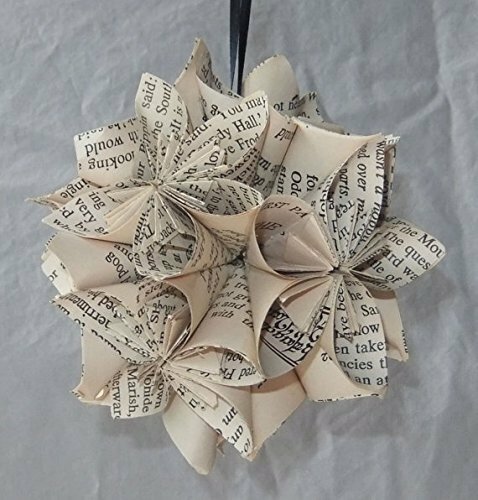 Piece measures 4 inches in diameter, with your choice of ribbon color (ribbon measures 3 inches long). 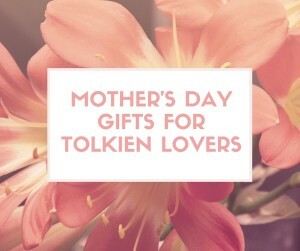 Truly a unique gift for a book lover, especially a lover of Tolkien books. Definitely not something you would find every day or on a local shopping trip. 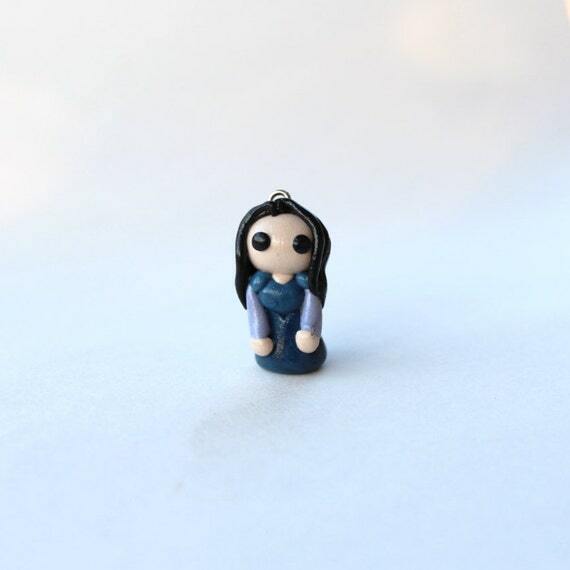 A very original and unique gift for a LOTR fan and ornament collector. 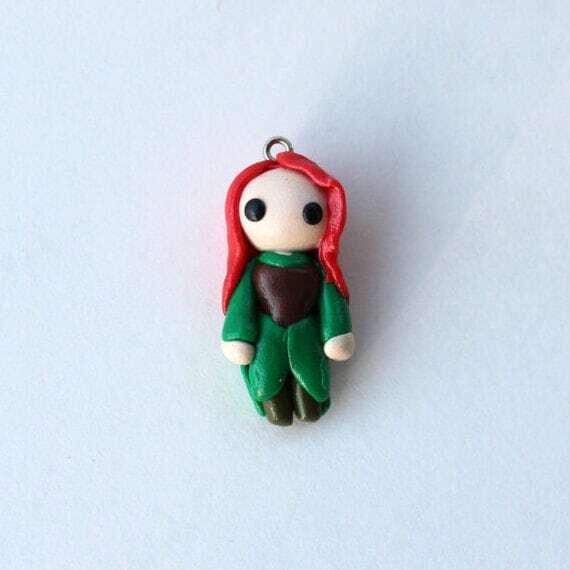 This is a hand made item from Magikal Little Things that is listed as a everything from a Hobbit door to a Fairy door. 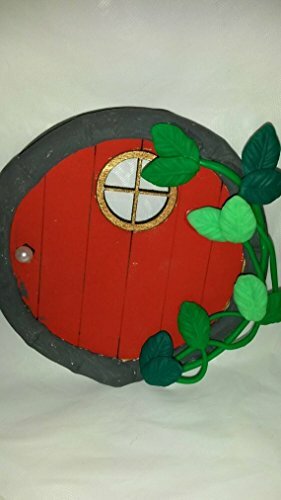 For fans of the Tolkien novels and films, you’ll instantly recognize this round door as a Hobbit door. A string could be added to the back for hanging on the Christmas tree. Hand crafted circular door is painted red, with a circular brown border. Green leaves or ivy leaves trail along the right side of the door. A circular window trimmed in a gold color is at the top of the door. 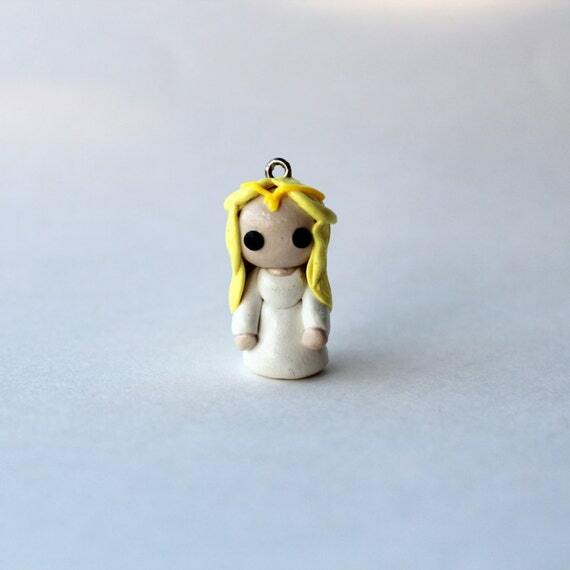 Would make a super cute addition to your ornament collection. 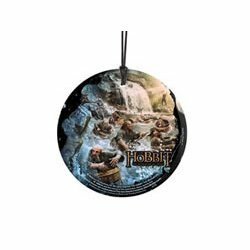 These Lord of the Rings Hobbit Christmas ornaments are all made by hand and sold by individual artists. 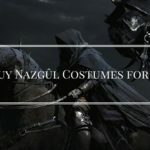 You can find the other characters by clicking through to the artist’s store, and more items may be made as we get closer to the holiday. 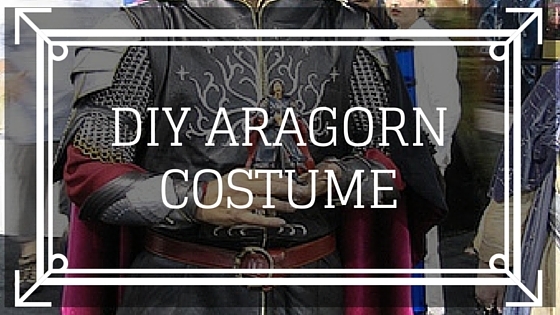 You can also use them for jewelry, keychains and more. You can also find the Hallmark ornaments on Ebay, if they are no longer available on Amazon. 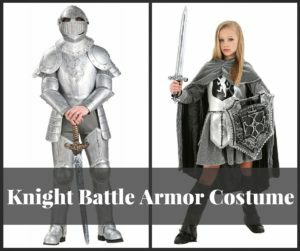 You can go directly to the listing on Ebay using this link. These are limited so once they are gone, you will most likely only be able to find them on Ebay. Ebay is a great source for obsolete and vintage items. 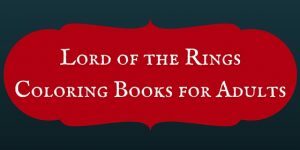 Since Lord of the Rings folklore is so popular, you can always find some obsolete or vintage items there.